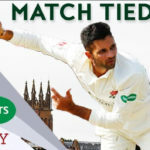 Watch Keshav Maharaj’s 7-37 salvage a draw for Lancashire against Somerset who needed 78 runs for victory, in the first tied match between the sides in 15 years. Former Proteas all-rounder Rory Kleinveldt has called time on his county cricket career and will return to South Africa. 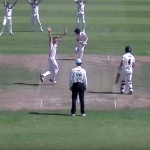 Hardus Viljoen took 5-55 in his first match for Kent against Gloucestershire in the County Championship.